On behalf of the Seriously Free Speech Committee in Vancouver, Canada, we wish to extend our appreciation for your poem “What Must Be Said”. Earlier this week, German writer Gunter Grass was barred from Israel for the content of his poem “What Must Be Said,” a meditation on the situation between Israel and Iran. The Nobel laureate’s piece, which warns of Israel’s military might and condemns German arms sales to Israel, caused an outrage in both countries and tempers have flared all over the Internet, both in favor of and against the content of the poem. “Grass’s poems fan the flames of hatred against Israel and the Israeli people, thus promoting the idea he was part of when he donned an SS uniform,” said Israel’s interior minister, Eli Yishai, according to the New York Times, apparently referring to the writer’s adolescence with the Hitler Youth, an admission Grass made in 2006. Augstein, who nails it in his article Why We Need an Open Debate on Israel. but they must listen to him. 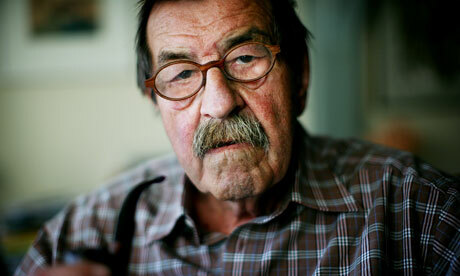 The German Nobel laureate and novelist Günter Grass has attacked Israel as a threat to an “already fragile world peace” in a poem published on Wednesday on the front page of the Süddeutsche Zeitung, a leading German daily based in Munich.